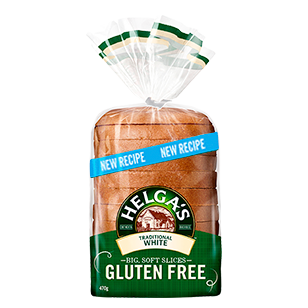 Helga’s Gluten Free Traditional White bread is full of all the good things you love about Helga’s, without the gluten. The loaves are big and soft and are a source of fibre. 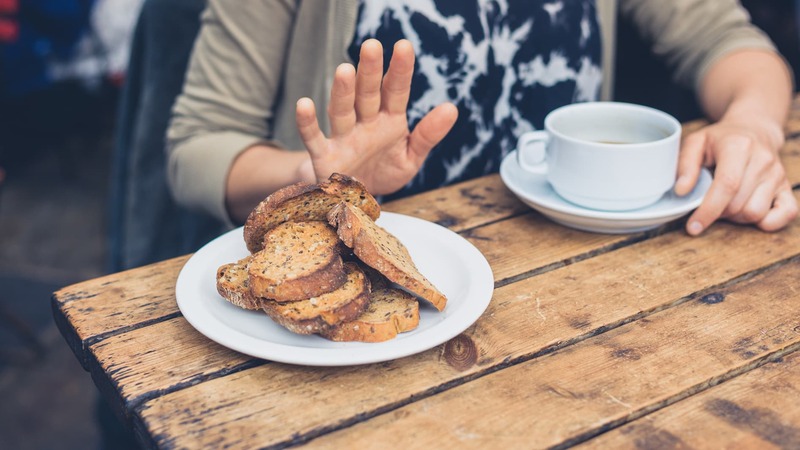 Whether you want to create a fresh sandwich or scrumptious toast, Helga’s gluten free bread means your customers can finally enjoy bread again. Water, modified tapioca starch (1442), rice flour, maize starch, potato starch, canola oil, sugar, psyllium flour, egg white powder, iodised salt, soy flour, thickener (464, 412), yeast, cultured dextrose, vinegar, vitamin (thiamin). Contains egg and soy. May be present: sesame seeds.